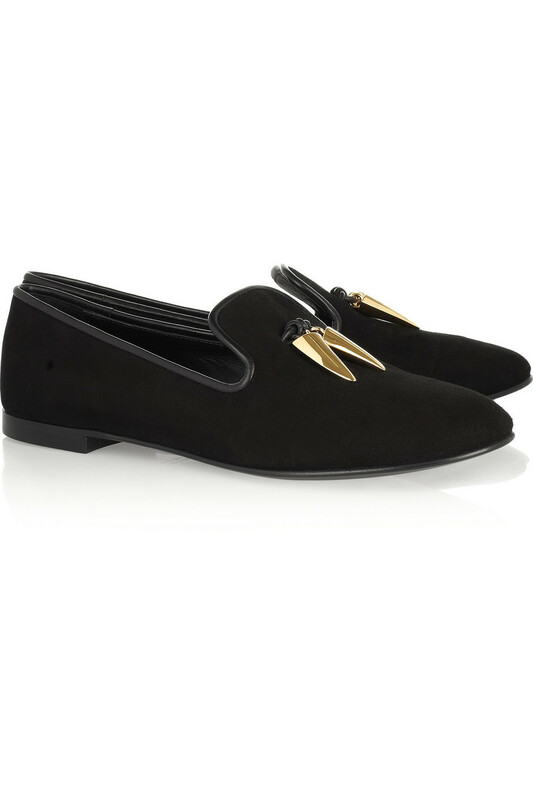 Today's So Shoe Me is the Sharks Tooth Embellished Suede Slippers by Giuseppe Zanotti, $650, available at Net-a-Porter. Take Shark Week to your feet in these sleek suede slippers with a killer bite by Giuseppe Zanotti. The high end designer enters high seas with two golden shark tooth embellishments slipped onto each slipper. The perfect suede slip-on with the right amount of sophistication and edge these sharp and sleek slippers are the perfect workday to weekend style. Pair these shoes for Saturday lunch with a basic white crop top and modern animal print pants. So shoe Me a pair of lightweight loafers that will add a stylish bite to my everyday favorites this summer and beyond.